The excavator should pay attention to the following maintenance after the operation of mud, rain or snowy weather. Clean up the excavator and check whether there are broken, damaged, loosened or lost nuts and bolts. All necessary parts are lubricated without delay. When the excavator works in the sea or the coastline, the following measures must be taken to prevent the pollution of sea salt. (1) after the work, the hydraulic cylinder should be extended / retracted several times so as to form the oil film on the hydraulic lever. 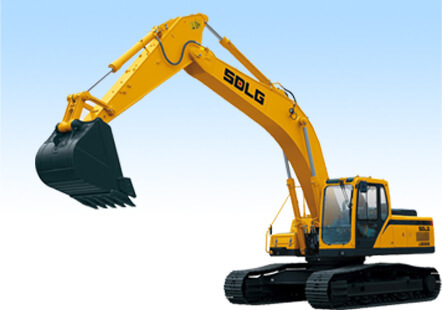 The excavator can keep the hydraulic cylinder back as much as possible when it is stored. (2) clean the excavator thoroughly with clean water to wash out the salt. (3) for the insertion parts of the hose joints, the lubricating lines and the cover, the paint should be brushed regularly to prevent rust, because the water is easy to exist in these places. (4) the excavator should cover the machine with a protective cover in storage so as to prevent the sea water from entering the air vent of the cab. The electroplating part of the hydraulic cylinder rod should be coated with antirust oil.